What started as 35 women gathering to discuss leadership in the current political climate has grown to an organized movement for Nevada County Women. Yesterday Indivisible Women Nevada County hosted over 350 local women of all ages, with differing political focus; life experience and goals who are united in their concern about the political climate and the direction of our current administration. Later that evening, as news spread across social media, the Facebook group quickly grew to over 1,100 members focused on engaging with the political process, better understanding the issues and taking action to be part of the solution. 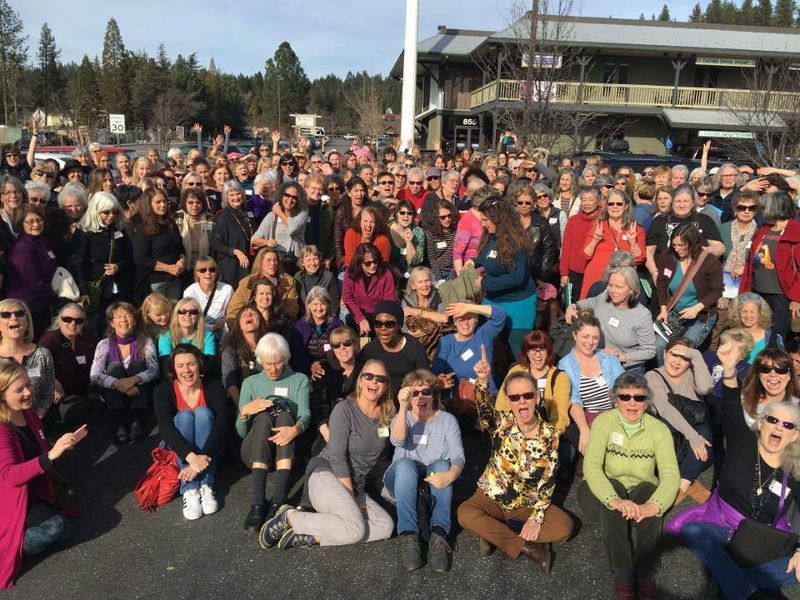 The group Indivisible Women Nevada County is a results-oriented collective of women who are committed to engaging more fully at local, state and national levels to transform our political process. In addition, the organization encourages and supports women interested in running for office. The Indivisible Guide was created by former congressional staffers and is intended to serve as a resource to all individuals who would like to more effectively participate in the democratic process. Indivisible Women Nevada County is working with the national effort and has been informally recognized as one of the larger and most organized groups. It also serves as an inspiring model for rural women and women who have never before engaged in political action to find their voice in a new way. Indivisible Women Nevada County is excited to be working closely with other Indivisible groups throughout District 1 including Yuba Indivisible, Indivisible Gold Country, and the Local Democratic Indivisible Action Club to unify a message and action items. Organizers are currently identifying a larger venue for their next meeting and encourages interested women to join their Facebook group. “We are, for sure, going to need a bigger facility.” Adds Sheila Cameron noting the overflow of Sunday’s event. I love it, and what it bodes for the future. This does sound inspiring. The more I think about it though, the more I hope it’s got wise leadership, that the group’s defining feature is actually, explicitly, “pro-democracy” – to help ensure that a good group stays good, because under normal circumstances “pro-democracy” will have some conflict with “indivisible”. Expect opposition that’s sophisticated and perhaps in much less good faith. Here’s to the group doing wonderful, inspiring things. Thanks but don’t forget to sign your real name. We want to be inspired by that!